Jypyä Pop (Turku, Finland) on 30 December 2016 in Animal & Insect and Portfolio. Here is a nice and soft and toes are warm. Lovely capture. He looks so happy. @ursulakatariina: Thank you. We all are happy with Leevi. I'm glad Leevi looks enjoying the toy ! Leevi is a happy cat ! Brilliant image of the cat at play! Great color. Leevi looks much more pleased to be inside where he is warm and happy. @Ruthiebear: True. Leevi enjoys when it gets to play with on the couch. Oh yes, this is much better than that cold snow and ice. 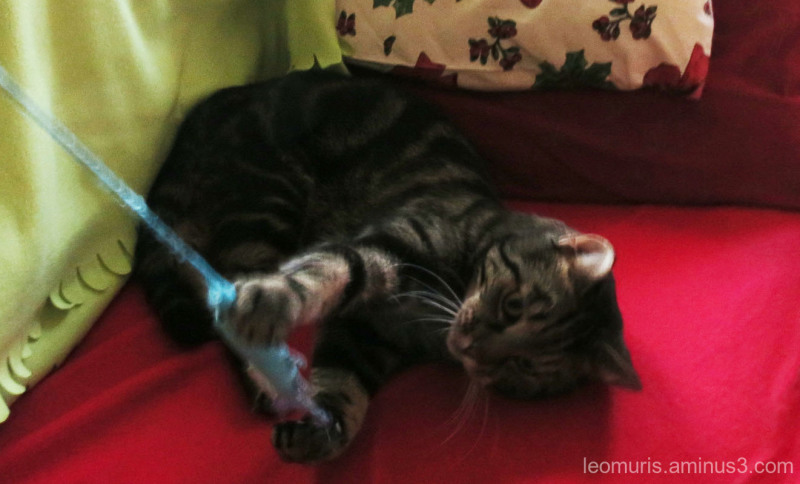 Cute shot of Leevi at play. @Steve Rice: We both agree with you. Leevi said Thanks buddy. Look at him play, so cute.